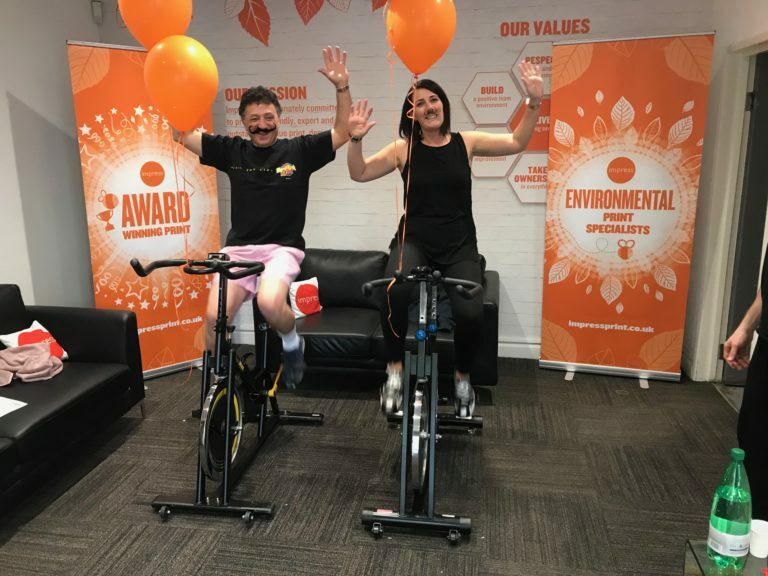 A crazy and fun cycle! 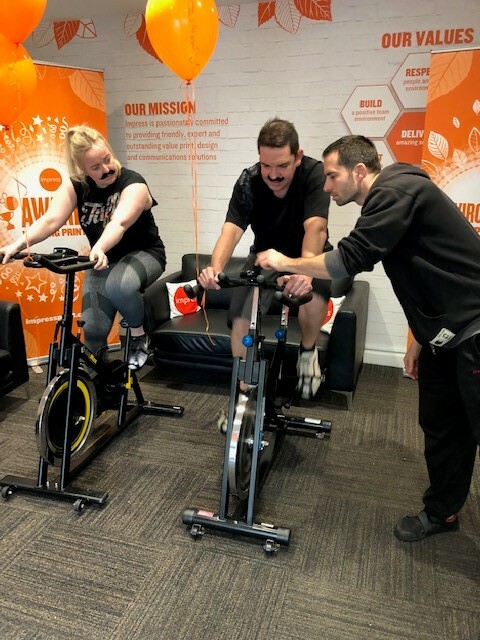 Our company team cycle took place on Thursday 29th and Friday 30th November in aid of the Movember Foundation to raise funds and awareness for men’s health. 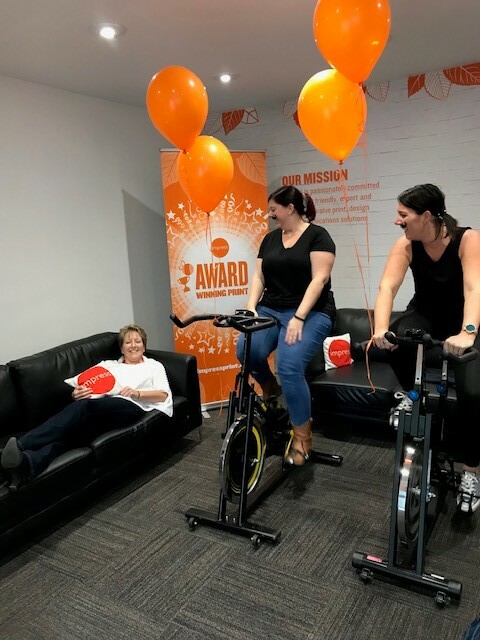 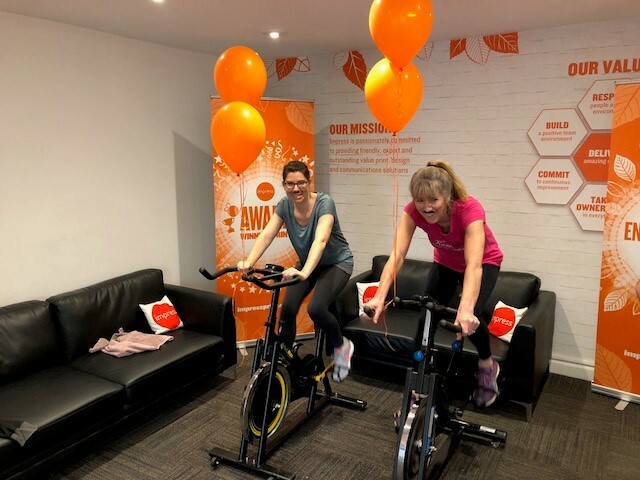 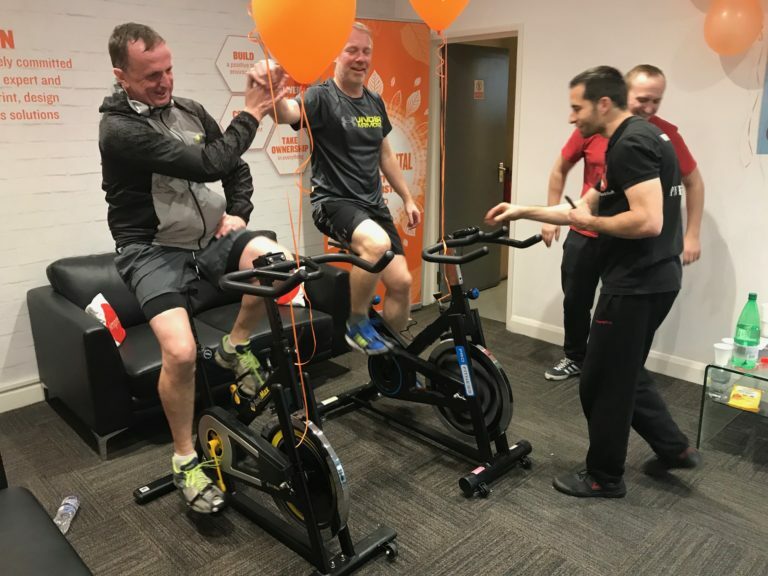 The Impress team cycled continuously on two static bikes in our reception, surrounded by balloons, from 9.30am till 5pm each day. 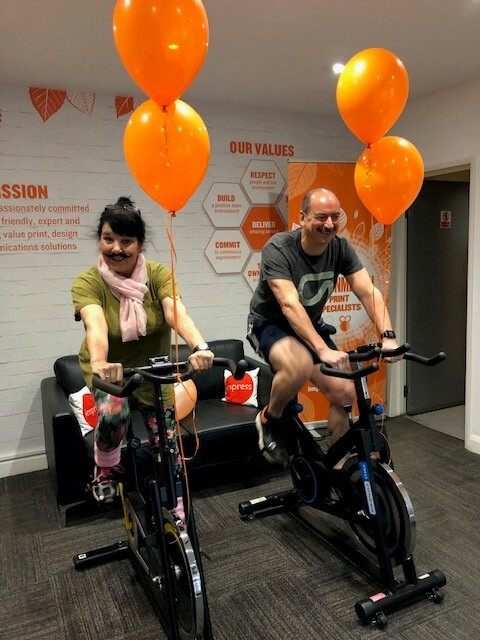 We managed to cover a grand total of 1104 km (686 miles), the equivalent distance from the Impress office in Hersham, Surrey to John O’Groats in Scotland! 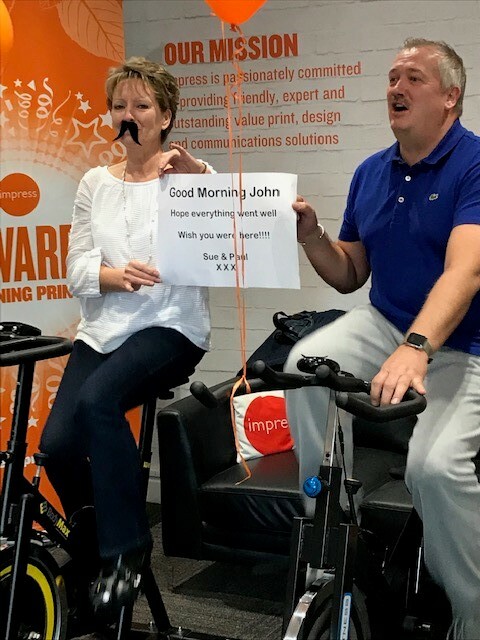 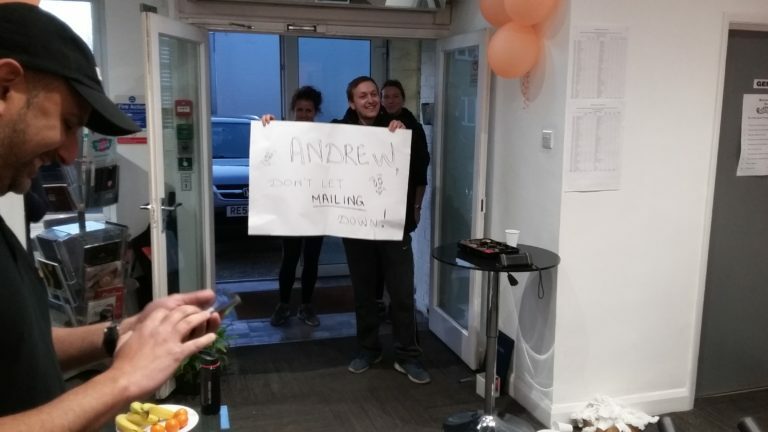 Cycling a mix of 10, 20 or 30 minutes at a time it was a superb effort from all departments – the office, sales, design, studio, print, digital, finishing, mailing and despatch, we all got stuck in. 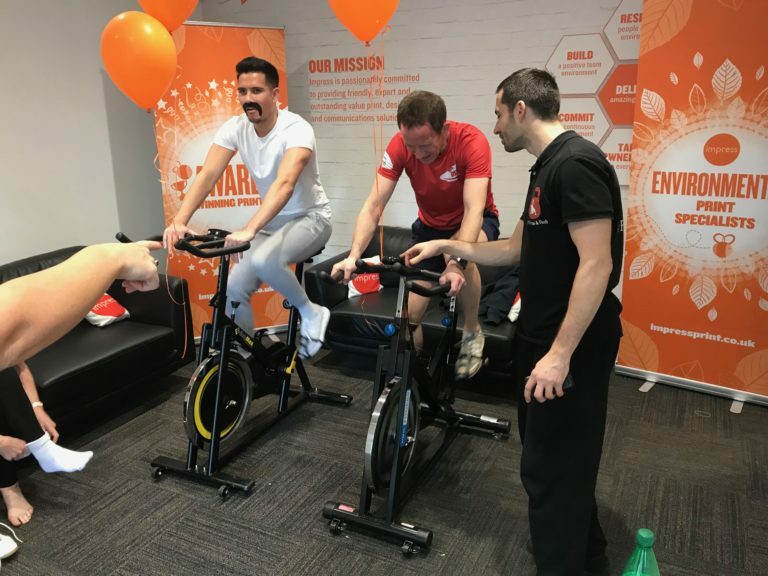 Amazing work everyone and thanks for the donations from staff and visitors. 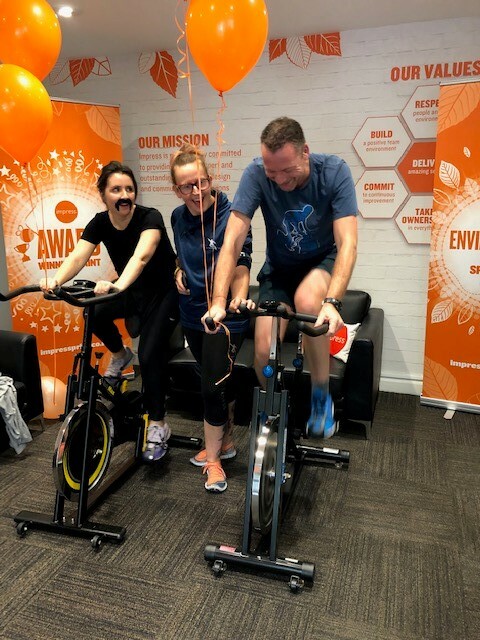 Impress also kindly topped up the pot with £5 for every 60 km cycled, making our total fundraising £316. 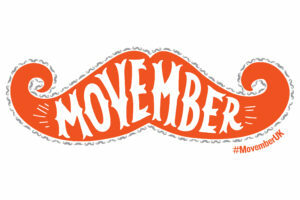 This donation to the Movember Foundation will help support men to live happier, healthier and longer lives. 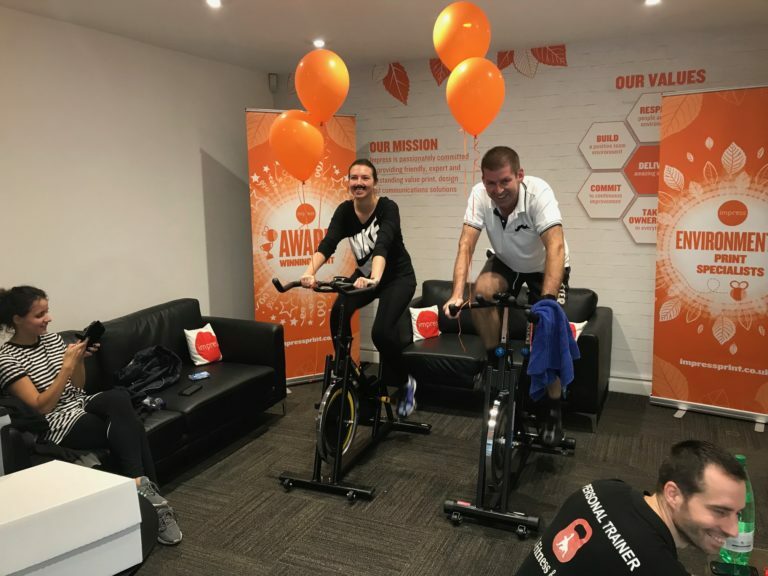 Our event was also supported by Inferno Fitness and PNFitness&Health. 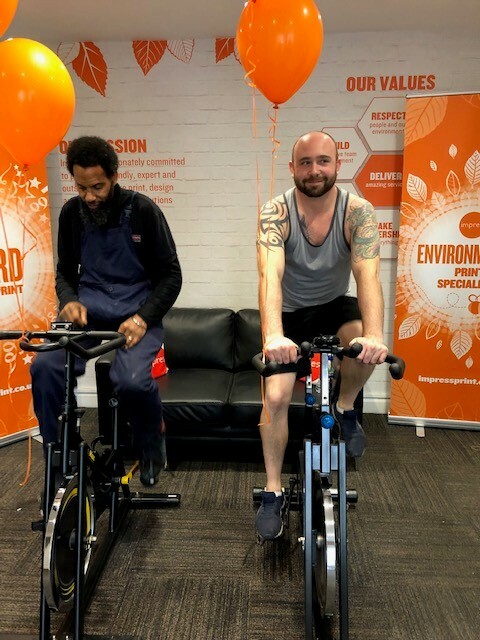 Thank you to Charlie and Peter for motivating us from start to finish, you are both very inspirational, we couldn’t have done it with out you. 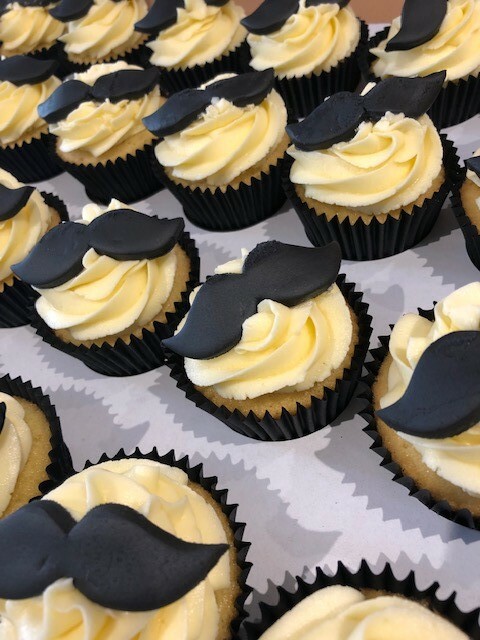 Another big thank you to all the Mo Bros and Mo Sistas in our Impress Team, together we will make a difference to all our colleagues, dads, brothers, sons and mates. 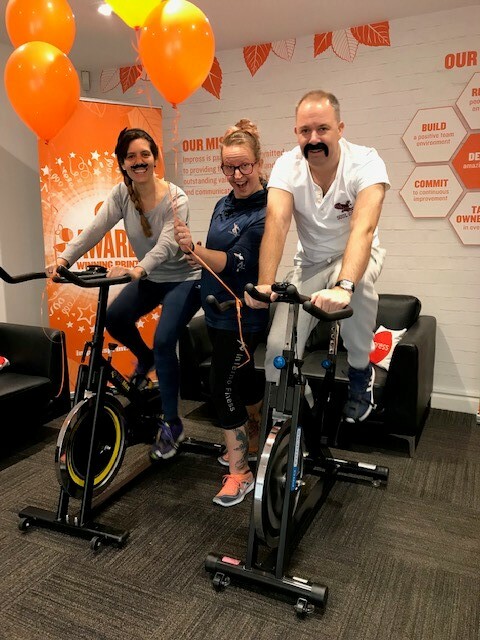 A spotlight on the Mo!